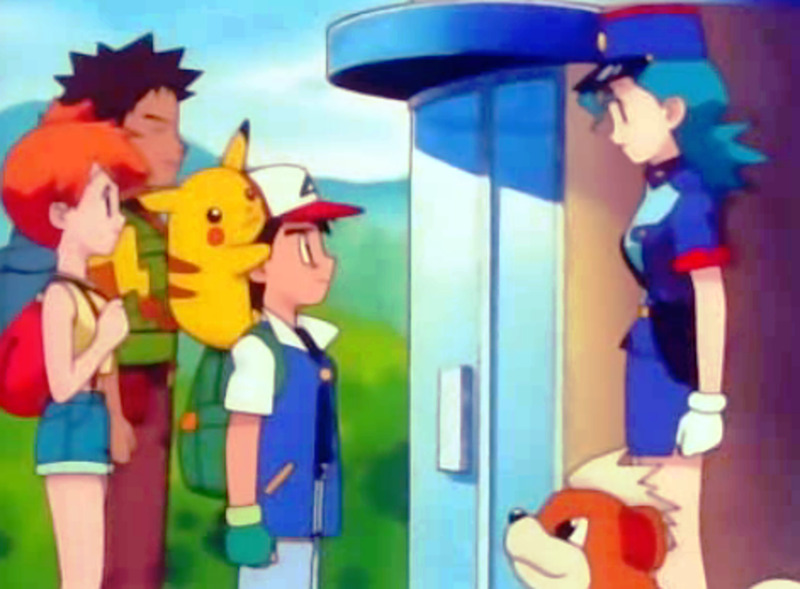 So, if you've arrived here, it means that you seek to create your very own Pokémon team, most likely for competitive play (although the things explained here will also benefit casual players creating a team solely for playing through the story line and extra event areas such as the Battle Frontier or the Pokémon World Tournament). With Pokémon Black and White getting a numbered sequel recently, the fifth generation has thus taken an extended stay, meaning that most of the things that applied before will still apply now. During the course of this hub, I will explain the different roles Pokémon can fulfill in a team, explain the concepts of Innate Value (IV) Breeding, Nature Breeding, and Effort Value (EV) Training, and link to supplementary material. For those of you who have played a Pokémon game, you will notice that their story lines are largely pretty easy. Just make sure to stay at an appropriate level, abuse type advantages, and make sure you have move lists without a lot of redundancy (mainly multiple moves of the same type), and the Elite Four are as good as cooked. Of course, competitive play is a whole other beast. If you are playing amongst friends, your friends may or may not understand the concepts I will be explaining and thus it may only be marginally harder than a fight versus the AI. However, if anyone among your circle of friends does understand the concepts, you will probably get trounced. See, an optimal Pokémon team has Pokémon that fulfill certain roles, depending on their strengths and weaknesses. You wouldn't have a Blissey trying to knock out enemy Pokémon with damage moves because that is just not what she is built for. She is built as a Sponge (a ridiculously abusive one that is usually banned in most tournaments due to her 600+ HP and above-average Special Defense, which makes her obscene at shutting down offensive attacks from Pokémon who utilize Special Attack based moves). Likewise, you don't have a Wigglytuff attempting to fulfill Blissey's role because Wigglytuffs just do not have the defensive stats to pull through in that role. So, I'm going to talk a bit about each role and then give the top five (non-legendary) Pokémon suited for each role, based on the criteria of stat allocations in the stats that count. Note: Some non-legendary Pokémon, like Blissey, are banned in most high-profile tournaments for various reasons. My list of top five Pokémon for each role will not consider these possible bans. The reader is urged to do some research if they want to set up a team with a Pokémon that may be banned in a tournament of interest. Disclaimer: This hub makes no pretensions of having every single role represented. It does seek to have the most common roles though. There are a myriad of possible roles, almost as many as there Pokémon, as many Pokémon can fit more than one role. Just take this hub as a general guideline and you'll be fine! Physical Sweepers are the first of three sweeper roles, and you will definitely want at least one on your team. Physical Sweepers use moves that utilize the Attack stat to deal their damage, and seek to hit first, so Speed is important as well. Earthquake is pretty much a meta-choice on Physical Sweepers, provided the Pokémon in question can learn it, as it has a solid 100 Power (150 Power if benefiting from Same Type Ability Bonus, or STAB for short). You'll also want a move that can speed you up or boost your Attack (preferably both), so something like Swords Dance, Belly Drum or Dragon Dance will work beautifully here. Special Sweepers are the second of three sweeper roles, and at least one will definitely deserve a place on your team. Special Sweepers use moves that utilize the Special Attack stat to deal their damage, and seek to hit first, so Speed is also important. 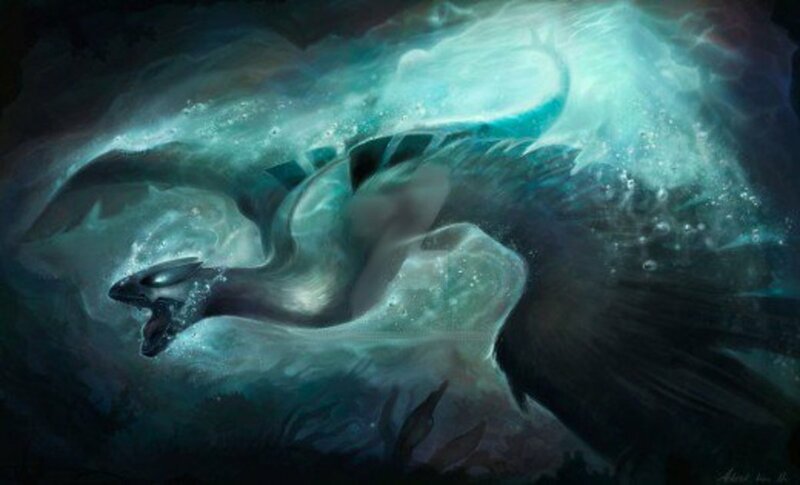 Surf is one of the most popular Special based moves, since Water has a solid array of enemies it can damage for at least base damage. You'll also want a move that can speed you up or boost your Special Attack (preferably both), so something like Agility or Calm Mind will be of great help. Mixed Sweepers are the last of the three sweeper roles, and you may or may not want to use one. Special Sweepers use moves that utilize both Attack stats, so they trade power for versatility in that respect. Like other sweeper roles they seek to hit first, so Speed is also important. Earthquake and Surf are good options to pad a Mixed Sweeper's move list, and you'll need a move that can buff both Attack and Special Attack (or perhaps just buff Speed). A Wall is a Pokémon in a defensive role that seeks to prevent its enemies from scoring a KO. A good Wall will have high Defense (Physical Wall), Special Defense (Special Wall), or both (Mixed Wall). A good Wall will also have moves that boost Defense and can optionally have a move that causes a negative status effect on the enemy (usually Toxic). In the latter case, that particular Pokemon's role also bleeds into that of the Staller (a Pokémon who prevents enemies from scoring a KO before it can faint to a status effect like poison or burn). The concept of tiers in Pokémon refers to the general viability of a Pokémon to be used at a competitive level, and is based on many factors such as potential move lists, total stats, viability in certain roles, and other such factors. While there is no official tier list (as short of the top percentile of all Pokémon, every other entry is subjective opinion), there is a pseudo-official tier list over at smogon.com. Stallers - Already mentioned above. They use stalling moves like Protect and usually have above-average defensive stats. They tend to stall to allow Toxic to worsen on the enemy or to attempt to force a switch that will be penalized by the use of Spikes/Toxic Spikes/Stealth Rock. Or, they may force a switch with a move like Roar or Whirlwind. Clerics - An interesting few Pokémon can fill this niche role. Clerics have Aromatherapy and/or Heal Bell to remove negative status effects from their allied Pokémon. Weather-based roles, of which the most popular are Rain Dancers, since Water is just so generally useful and Rain makes Thunder hit with 100% certainty. Passers - This role utilizes Baton Pass to pass along buffs to the next Pokémon to be sent out. Quirky Pokémon like Smeargle (who has potential access to every move in the game) get their chance to shine here. Now that you've gotten a taste of the roles you can use for your team, it is time to talk a bit about how you will get them to a competitive level. Breeding is the name of the game for those Pokémon Master wannabes who want to give it their all! I'll start with Innate Value. Innate Value Points, or IV Points for short, are a representation of a Pokemon's prowess (or lack thereof) in each stat. Much like how different humans in real life have different strengths and weaknesses, Pokémon are the same way. Just because you caught two Smeargles on the same day and on the same route does not mean that they will have the same stats. This is the IV Calculator I like to use when I am trying to breed Pokémon for the game's hardest content. It's pretty Plug & Play, so I'm sure you'll like it as well! IV Points rank from 0 to 31 for each stat and are hidden from the player's view. They are applied as a sort of bonus to the base stat in question and represent the amount of extra stat points the Pokémon will have in a certain stat at Level 50 (the IV Point value is doubled for Level 100 Pokémon). You will need to use an IV calculator (see the sidebar for the one I personally like to use) to figure out each stat. Basically, you're going to want Pokémon with high IV points in the stats they are going to utilize. In a perfect world, you would have perfect Pokémon. But, in this imperfect world of ours, you will probably have a higher chance of getting several Shiny Pokémon than you will of legitimately getting a perfect IV Pokémon. Given that the process of IV point allocation is completely random on wild Pokémon, you will maximize your Pokemon's potential by utilizing breeding. When Pokémon breed, both parents pass on a combined total of 3 IV stat values to the child Pokémon. The other 3 IV stat values are determined randomly. Note: If you have one of the parents hold one of the Power items (Weight, Anklet, etc. ), then that parent will be guaranteed to pass on the IV value related to the Power item in question. For example, a parent holding a Power Weight will pass on its HP IV to the child. if both parents are holding a Power item, then the parent who will offer the fixed IV value to be passed is randomly determined. Natures are another important reason to utilize Pokémon breeding. Each Nature (with the exception of five that are neutral) gives a 10% growth bonus to one stat and a 10% growth penalty to another stat. Thus, you should go for natures that boost a stat you need and hinder one you could care less about. This is easiest for single attack type sweepers as they can take a nature that boosts the attack stat they use and hinders the one they do not. Walls will have no qualms in reducing their own Attack (which has the positive effect of reducing the damage you self-inflict if you hit yourself in confusion) to boost a defensive stat of choice. Speed is always useful, so try not to lower that via a Nature unless the Pokémon in question has abysmal Speed anyway. Breeding can be used to inherit Natures as well. If you equip a parent with an Everstone, then that parent will pass down their nature to their child. If you equip both parents with Everstones, the chance is 50/50 for each of the natures instead. Finally, breeding can be utilized to pass down moves and abilities. However, that is a subject best left for another time. Bulbapedia is a popular Pokémon Wiki that has all sorts of information related to Pokémon games. This, of course, includes all relevant information to Pokémon breeding. This link leads to the reference table on Bulbapedia that lists the EV points that all 649 Pokémon yield when defeated in battle. Note that not all Pokémon grant boosts to only one stat, and some even grant bonuses to as many as three! Finally, you will want to learn how to train your Pokemon's Effort Value, or EV in short. 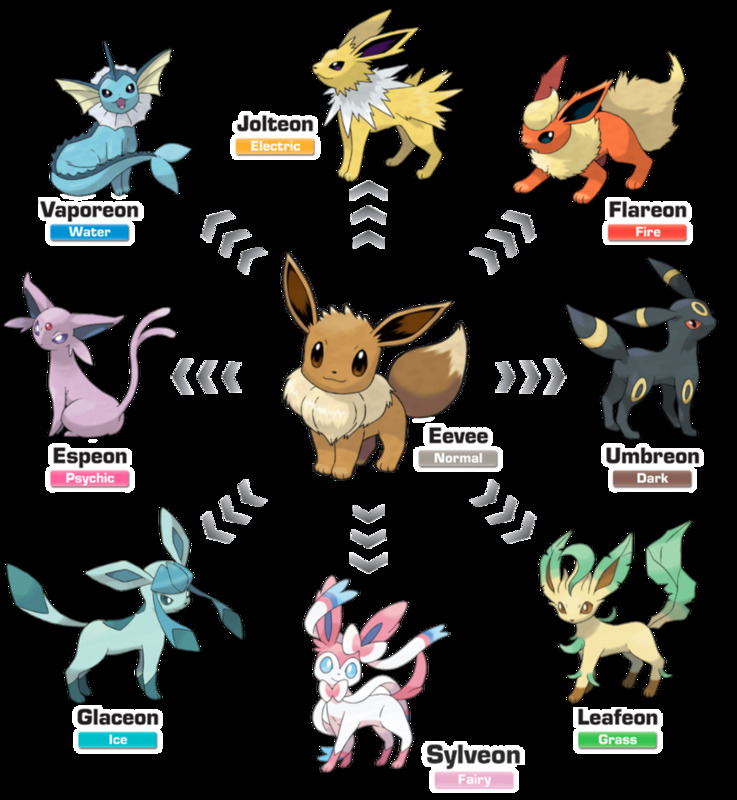 Much like IV represents the Pokemon's natural strengths and weaknesses, as determined at birth, EV represents the Pokemon's training and how it has improved the Pokemon's stats. As you defeat enemy Pokémon, your Pokémon will accumulate EV points. The amount earned depends on the enemy Pokémon defeated. A Macho Brace will double the amount of total EVs you earn. So, if a Pokémon gives you 3 Defense EVs, you will gain 6 Defense EVs instead. The Power Items all grant +4 EVs to the stat they affect each time you defeat an enemy Pokémon. 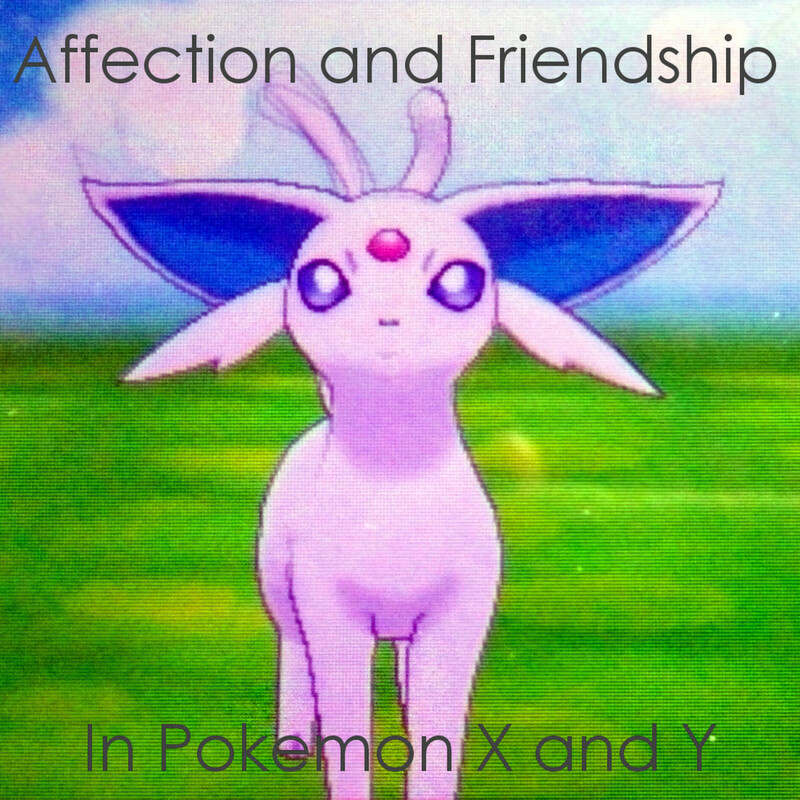 This is added to whatever EVs the Pokémon normally gives. So, if a Pokémon would give you 2 Attack EVs on defeat and your Pokémon is equipped with a Power Weight, your Pokémon will get 4 HP EVs and 2 Attack EVs. In addition to that, you have Vitamins which increase the stat they affect by 10 EVs, up to a cap of 100 EVs (so, if you're in a hurry, it's best to use Vitamins initially and then go for EV training via battles). Finally, but definitely not least, there is the Pokerus. The Pokerus is a virus your Pokémon may contract from wild Pokémon battles. Should your Pokémon be affected, an icon on its status screen will let you know (additionally, Nurses at Pokémon Centers will alert you to the infection as well). The virus has no negative effects and one beautiful positive effect: It doubles the amount of EVs you gain in battle. It stacks with the Macho Brace but I'm not sure if it stacks with the Power Items. With that last section, I conclude what very well may be my longest article in ever. I hope that the information contained within has helped you become a better Pokémon trainer. Feel free to mention things I may have left out (I did my best, but I'm only human after all! ), or tips that you may wish to add related to competitive team building. Or, you can just say hello in the comments section. All of the above works for me! How didnt you mention shuckle in the walls? Nicely done! I admit I'm not too big into competitive Pokémon battling, but I am a huge Pokemon fan! Extremely in depth article, I've never focused on building a strong team, I generally just choose which ones I like because I don't engage in any competitive Pokémon gaming. Thank you very much for your input Elialeh! This article was one of the first that I wrote up as part of the Hubpages Exclusive Hub Inititative where established Hubpages writers get title suggestions upon attempting to create a new hub with certain keywords in the title. Said suggestions are supposed to be highly searched for on the Internet and do not yet exist on the site (so it's supposed to improve the chances of getting good traffic, in theory). To be fair, I had heard about those online simulators for Pokémon, but preferred not to write about them since I've only the most basic of knowledge related to them. I may be a bit old-school, but I like to have Pokémon that do not have perfect IVs and optimal move-sets. I'll try to IV breed and such, but I feel that fully optimized teams are an exercise in elaborate coin-tossing (basically, if two teams are perfectly balanced against each other, the chance of either team winning is precisely 50%). I did notice that you mentioned Smogon.com--love it or hate it, it's one of the largest communities out there--and rightly placed emphasis on hand-crafting your own competitive team. Just wanted to point out, though, that there are several web-based and downloadable online Pokémon simulators that get rid of the middleman of grinding, so to speak, in that they allow freeform teambuilding and tiered/specific ruleset battles. Thanks, as always, for your insight and depth. Thank you very much for reading! It took me over four hours to put together all of the information, and I'm sure someone invested into the competitive scene could add a whole lot more to this hub! This is full of information! Especially useful, since it gets into the aspects of Pokémon I haven't dealt with much. I might even be bookmarking this for future reference. Voted up and useful! I used to love Pokémon as a kid. I played the Yellow and Red versions for Game boy (if I had them still, I would play them as I am such a video game nerd) and I tried the card game...didn't have the patience (I was only twelve and had a short attention span--LOL). After reading this hub thought, you kind of brought that love back! Thanks for the informative hub and the nostalgia!